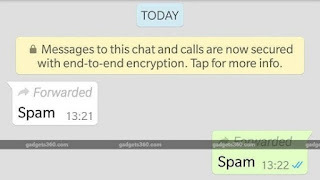 Based on news from Gadgets360 via Ubergizmo, WhatsApp is testing the labeling of forward messages. This is the same as when you send an email message which is then forwarded to another address. The message will say "FWD" in the email. 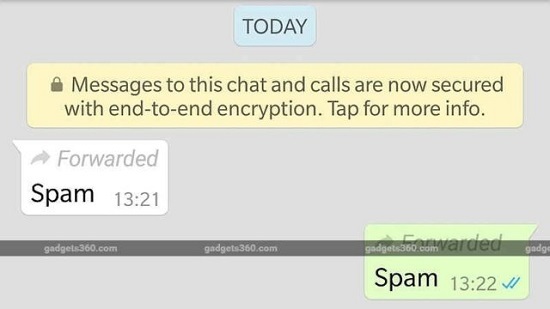 This may be intended to notify the recipient of the message that the message you sent is not genuine from the last sender. As you can see in the picture above, messages that have been forwarded are now clearly labeled. The image is taken from WhatspApp beta for Android. So if you are a user of WhatsApp beta iOS then can not see it. Until now there is no definitive news when the latest WhatsApp features will be released to the public. 0 Response to "WhatsApp Start Test Labeling Forwarded message"